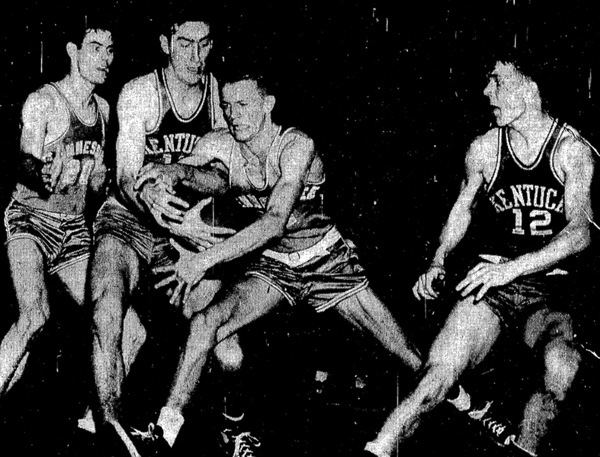 Ralph Beard, an All-American guard for Kentucky in the 1940s and a key figure in college basketball's biggest betting scandal, died Thursday. He was 79. 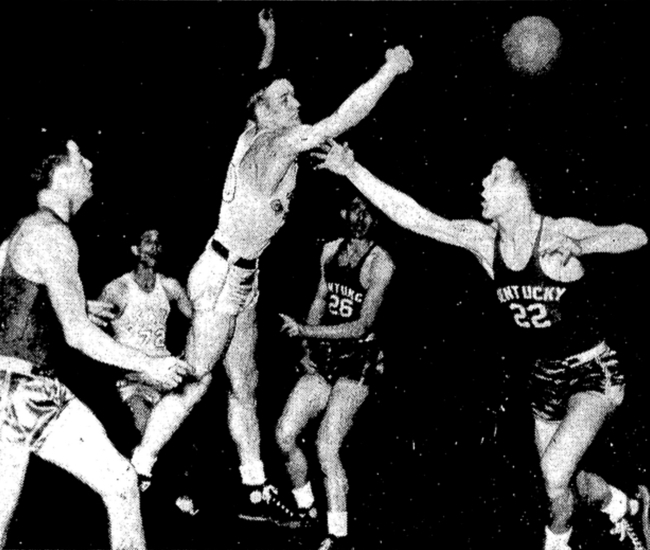 Beard, who helped the Wildcats win national championships in 1948 and 1949 under coach Adolph Rupp, died at his home, his son, Scott, said. After a series of illnesses in recent years, Beard died from heart failure, his son said. 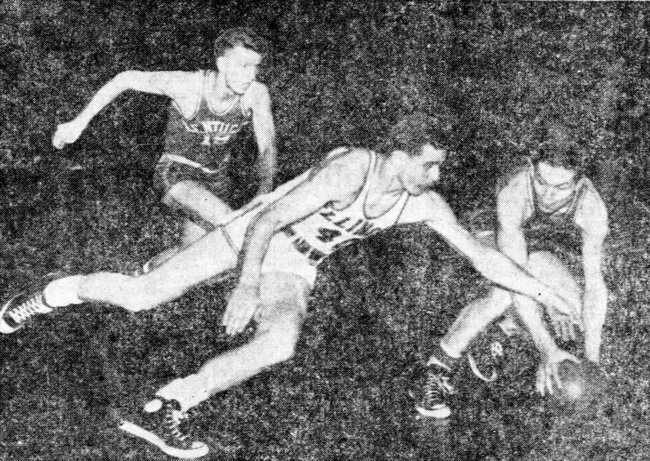 A speedy, 5-foot-10 guard, Beard was among Rupp's famed "Fab Five," along with Alex Groza, Wallace "Wah Wah" Jones, Cliff Barker and Kenny Rollins. 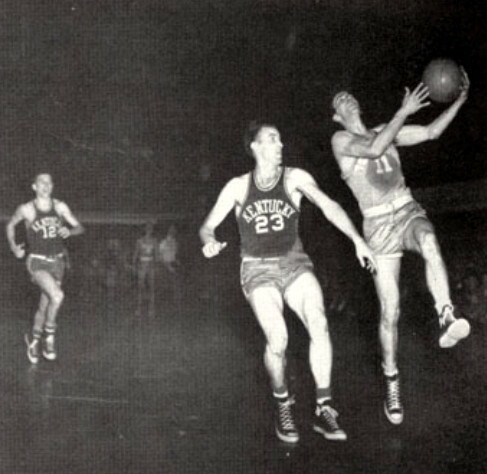 The Wildcats finished 36-3 in 1948, beating Baylor 77-59 for the national title. 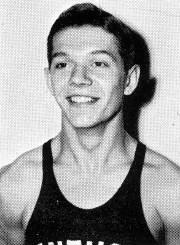 The following summer, Rupp and the five starters teamed with the AAU champion Phillips Oilers to win the Olympic gold medal in London, then won another NCAA championship. Beard was the school's first four-time All-SEC selection, and finished with 1,517 points, currently 14th on Kentucky's scoring list. 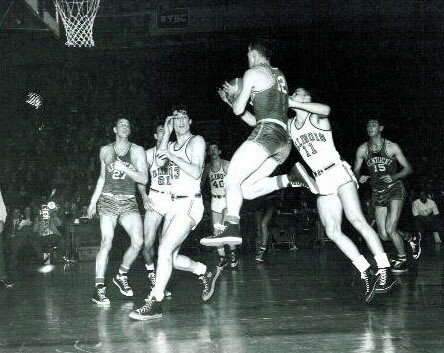 He played in the NBA's first All-Star game in 1951, with Bob Cousy, Joe Fulks, Dolph Schayes, Jim Pollard. Less than a year later, his career was over. 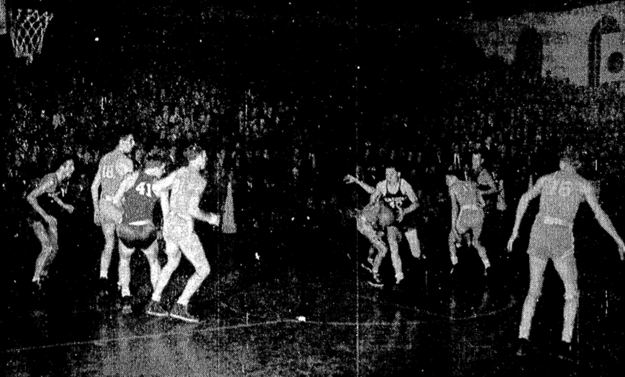 Before the start of the 1952 season, Beard and Groza were among several players involved in a point-shaving scandal that rocked college basketball. They received suspended sentences, but were banned for life from the NBA. Beard admitted to taking $700 from gamblers while at Kentucky, but said he never shaved points. The scandal "is never mentioned by people unless I bring it up," Beard said in a 2003 interview. "But the scandal was really a blip on the screen for Kentucky basketball. You just can't kill something that big." Jones called his former teammate a "top-notch player in the country, the best guard I ever saw. "I'd do anything in the world for him. He was just a regular guy. We all got along, had a lot of good times together." Jones said the point-shaving scandal never affected their friendship. "It really played hard on him the rest of his life," he said. "I've never held anything against him. He was a real good guy." Former coach Joe B. 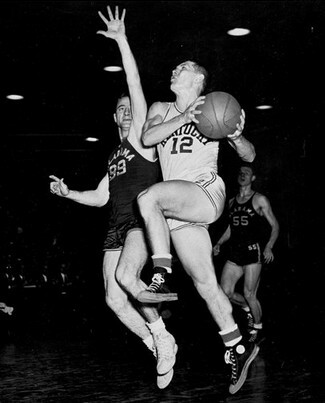 Hall, who played for Rupp in 1949 and later replaced him, said Beard's style on the court transcends the changes in the game. "He would be an All-American in today's game," Hall said. "His style of play was timeless. He was so aggressive and quick, a tenacious defender. He would make any adjustments offensively it took to make himself better." 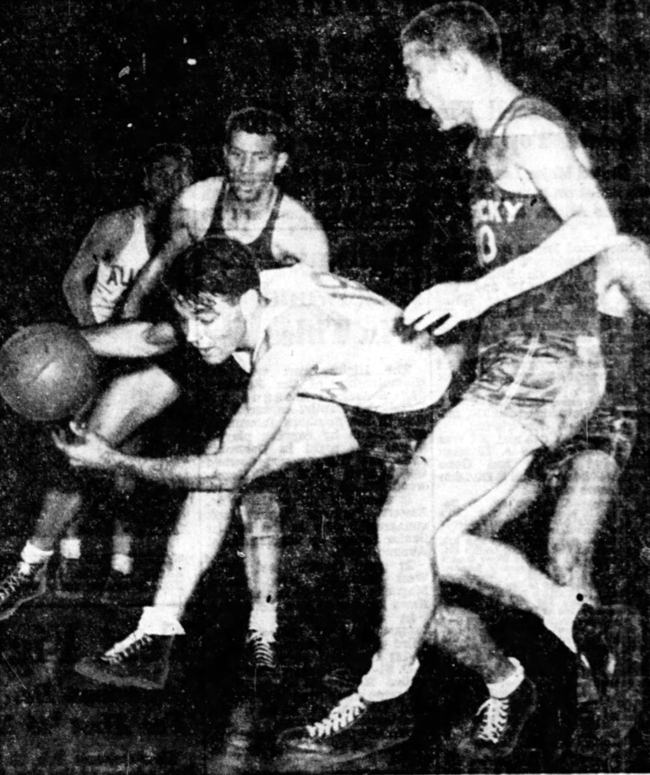 Adolph Rupp Jr., the son of the legendary coach, recalled Beard's speed, which led to a collision between player and coach in 1948. "They were running a fast break drill and Ralph Beard ran him down and knocked his back out," Rupp Jr. said. 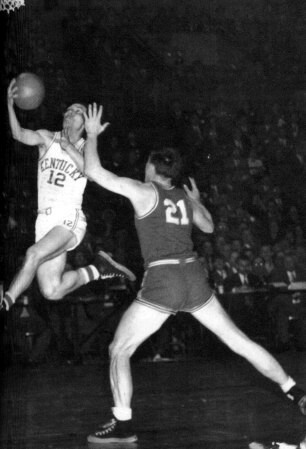 Kentucky athletic director Mitch Barnhart said, "Ralph was without question one of the greatest to ever wear the Kentucky uniform." Beard, who would have been 80 on Sunday, was born in Hardinsburg, then moved to Louisville to attend high school, said his daughter-in-law, Tina Beard. After his pro career ended, Beard returned to Louisville and went to work at Gould's Pharmaceuticals as a salesman and later as general manager, she said. Visitation was scheduled for Sunday at Pearson-Ratterman Funeral Home in Louisville. Funeral services were scheduled for Monday. On a sunny October day in 2002, I sat in a Perkins restaurant in Louisville with Ralph Beard. 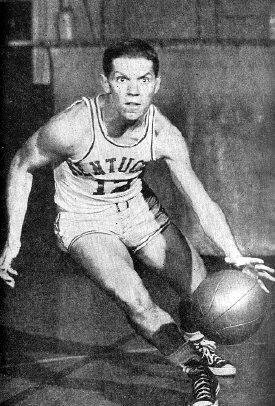 During the 100th year of University of Kentucky basketball, I'd gone to talk with the player that old-timers say might, even now, be the greatest ever to wear Blue & White. I spent two hours staring into the most haunted pair of eyes I've ever seen. "It wouldn't bother me," Beard said that day, "if another basketball season never came around. I really mean that. Every year, it just brings it all back." 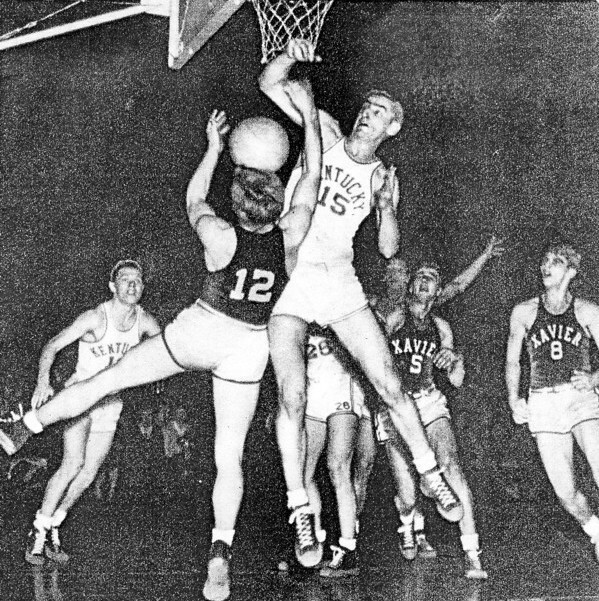 In the long, rich narrative of UK basketball, Beard -- the star guard on the famed Fabulous Five who died yesterday, three days short of his 80th birthday -- was a tragic figure of Shakespearian pathos. 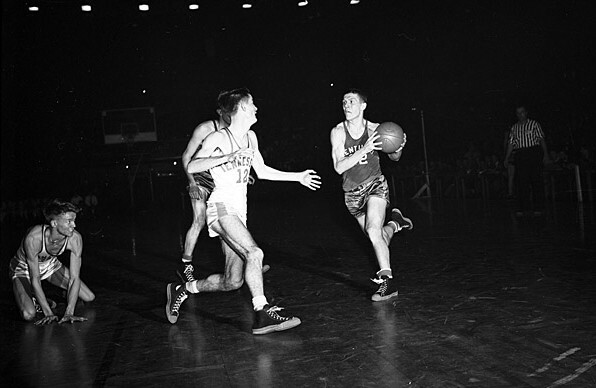 A lightning-quick guard famous for his ability to hit the driving layup with either hand, "Rapid Ralph" was a dogged defender who taught himself to be a competent two-handed set shooter. 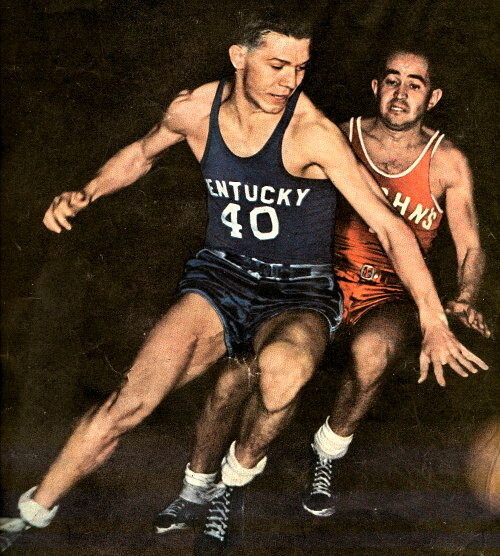 Along with classmate Wallace "Wah Wah" Jones, Beard was the centerpiece of the greatest era in UK basketball history. 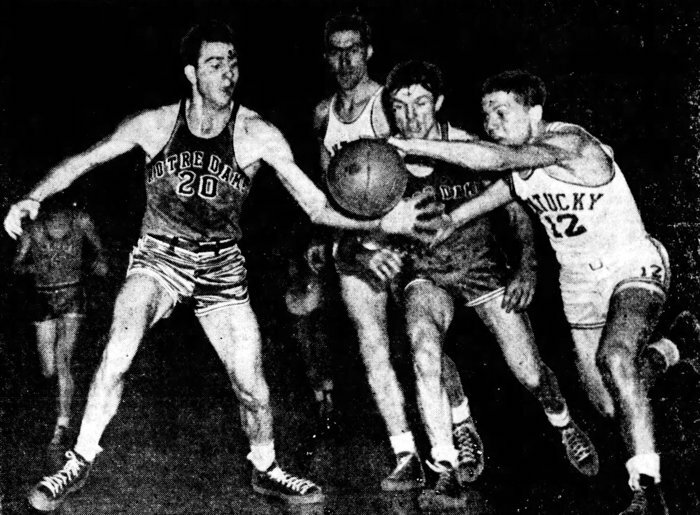 From 1946 -- when Beard and Jones joined Adolph Rupp's varsity team as freshmen -- through 1949, Kentucky played in the finals of a national tournament four straight years. 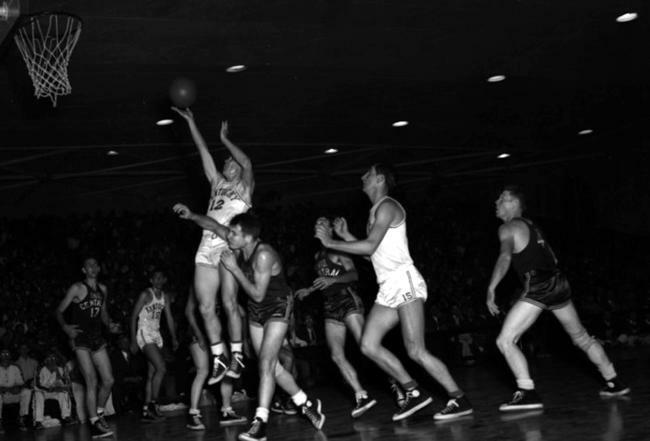 The Cats won the NIT in 1946, finished second in '47, then won back-to-back NCAA crowns in 1948 and '49. Beard "was one of the best players in the country. He was one of the toughest guards I've ever seen," Wah Wah Jones said yesterday. 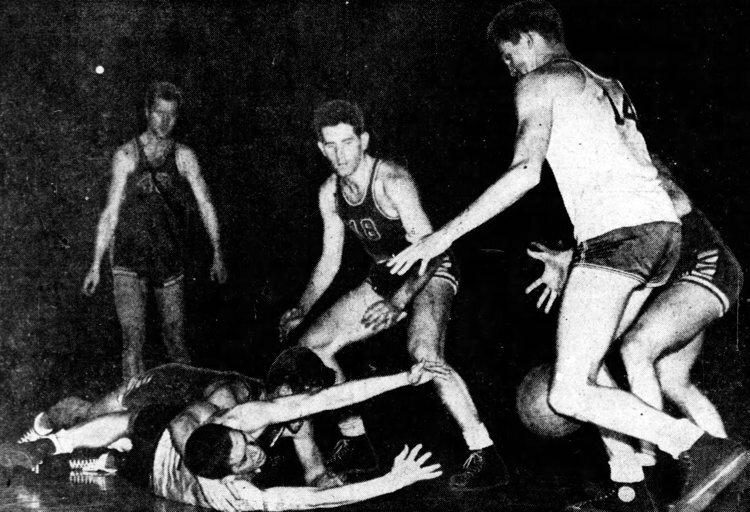 That 1948 team -- with Beard and Kenny Rollins at guard; Alex Groza at center; and Jones and Cliff Barker at forward -- lives forever in UK lore as The Fabulous Five. It became the standard against which all Kentucky teams are measured. 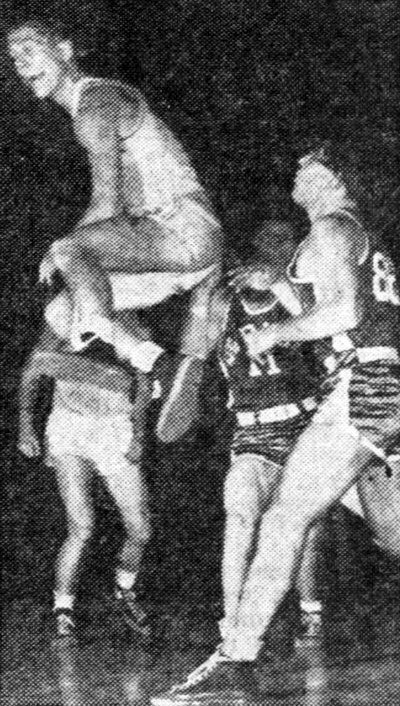 Having grown up poor before becoming a star athlete at Male High in Louisville, Beard was driven by a need to succeed that bordered on the manic. "The most competitive person I ever knew," said Joe B. 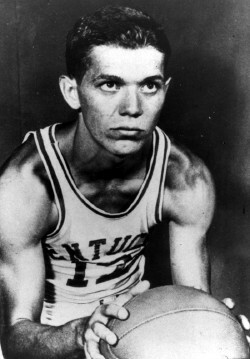 Hall, the former Kentucky coach and a college teammate of Beard. 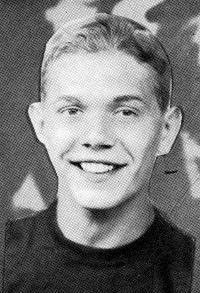 Babe Ray was a high school rival of Beard at Manual High. 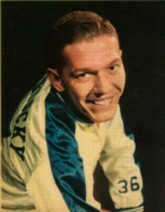 Ray went on to play college football at the University of Louisville with future NFL great Johnny Unitas. "Beard was just like Unitas," Ray said yesterday. "Some damn way, he would find a way to beat you. He just couldn't let himself lose." 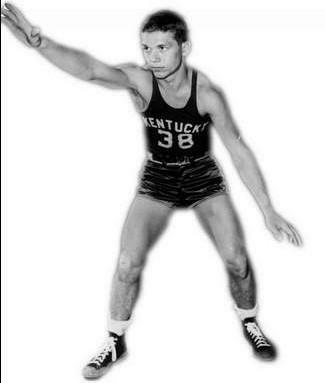 Which is why jaws hit the ground all around Kentucky when Beard was arrested in 1951 and accused of shaving points. 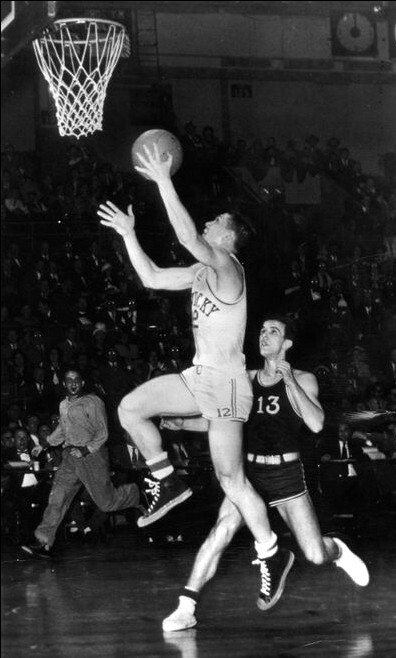 The only three-time All-American in Kentucky basketball history and several teammates (including Groza) were charged with accepting money from gamblers in exchange for affecting the margin of games during the 1948-49 Kentucky season. Beard admitted taking the money. But to his dying day, he maintained that he never actually did anything once the games started to affect either the outcome or margin. "I swear on my kids' eyes," Beard said that day in Louisville, "that I never did anything to affect the score of a basketball game." Why take the money then? "I had no money. None," he said quietly. "I know people have a hard time of understanding, but it was just after the Depression. I'd never had anything. If people were going to give me money ..."
Whether he actually did anything for the $50 here, $100 there that he was getting to aid the gamblers, Beard paid dearly for taking the money. 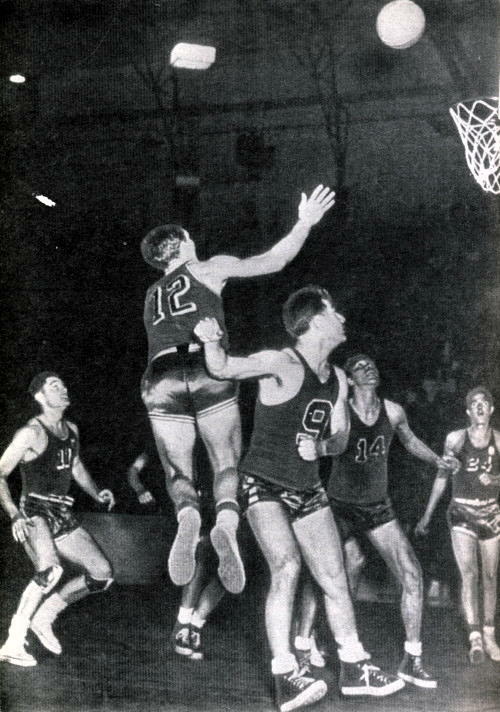 After their UK careers ended, Beard was among members of the Fabulous Five who became player-owners of the Indianapolis Olympians of the NBA. When the ex-Kentucky players were convicted, Beard and Groza were banned from the NBA and were forced to give up their ownership stake in the Olympians. Rupp disassociated the convicted players from UK basketball. 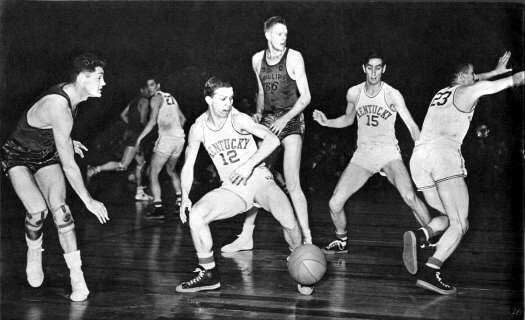 When the NCAA banned Kentucky from playing a varsity schedule in 1952-53 because of rules violations that were uncovered as a result of the point-shaving scandal, it only added to Rupp's fury. Beard hit bottom. Adrift without his identity as a ballplayer, Beard's first marriage crumbled. "The scandal crushed him; it just crushed him," Hall said yesterday. "It took a lot of his spirit away, a lot of his self-esteem." Showing the grit that characterized him as a player, Beard eventually steadied himself. He re-married, and with the help of his beloved Betty, raised a family and built a new life. Beard became a success in business. He learned to channel some of his legendary competitiveness to the golf course. Yet he remained haunted by what could have been. Without the scandal, Beard almost certainly would have become a Basketball Hall-of-Famer and been remembered as one of the sport's greats. Instead, he is all but forgotten outside the state of Kentucky. "There's not a day goes by that I don't think about what I lost," Beard said that afternoon in 2002. "Basketball was my life. It was what I lived for. To lose it like that ..."
As his voice tailed off, Beard aimed those impossibly sad eyes across the table. Those eyes have now closed forever. One hopes a good man who paid dearly for a youthful mistake at last rests in peace. One thing you have to know about Ralph Beard is that he was cheap -- and proud of it. He said he never got over what it was like to grow up poor in the Great Depression. "Podnuh," he would say, in his stuttering way, "you just don't know what it's like to be worried about where your next meal is coming from." His buddies loved to tease Ralph about frugality, and Beard -- who died Wednesday night only days short of his 80th birthday -- laughed as hard as anybody. Everybody has a Ralph story. One of mine is the time I drove him to Bloomington, Ind., to meet Bobby Knight. Ralph brought along a brown paper sack with a couple of homemade sandwiches because he saw no reason to splurge at a pricey joint like McDonald's. Knight had asked me to bring Ralph to an Indiana game. 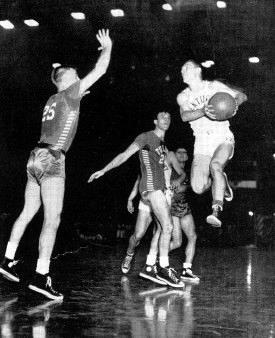 A basketball historian, he had listened to UK's games on 50,000-watt Louisville station WHAS when he was a kid growing up in Orrville, Ohio. He knew all about Beard. 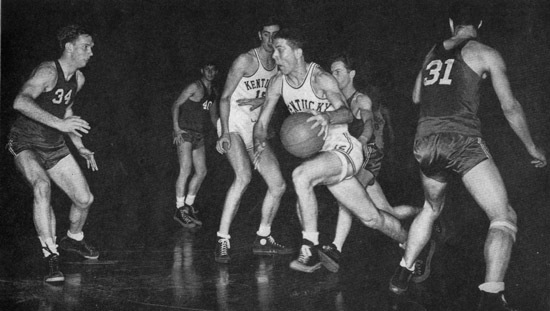 He knew that Adolph Rupp had once called Beard "the best player I've ever coached." Before the game, Knight brought us into the locker room so he could introduce Ralph to his players. "Boys," Knight said, "this is Ralph Beard. He was the Michael Jordan of his time." Ralph ducked his head bashfully and the players looked at him a bit skeptically. 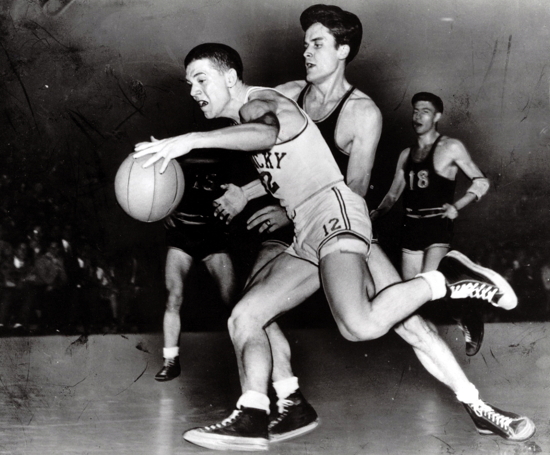 Ralph was only 5-foot-10, short by today's standards, and at the time he was well into his senior years. But Knight got it right. 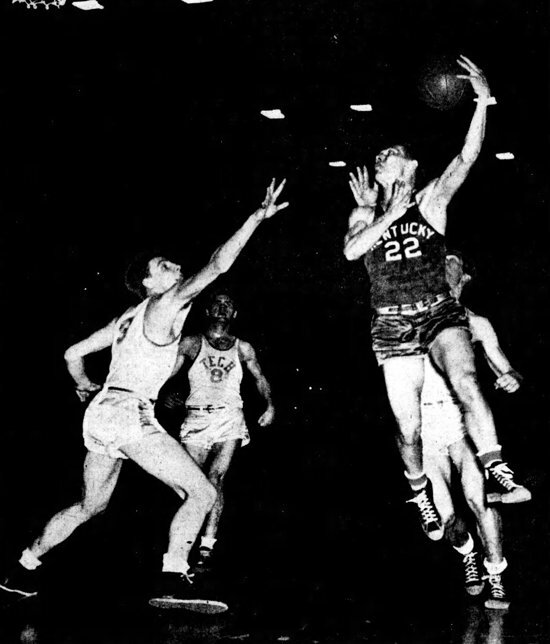 In his time, Ralph was the playmaker and floor leader of the UK teams that won back-to-back NCAA championships in 1948 and '49. 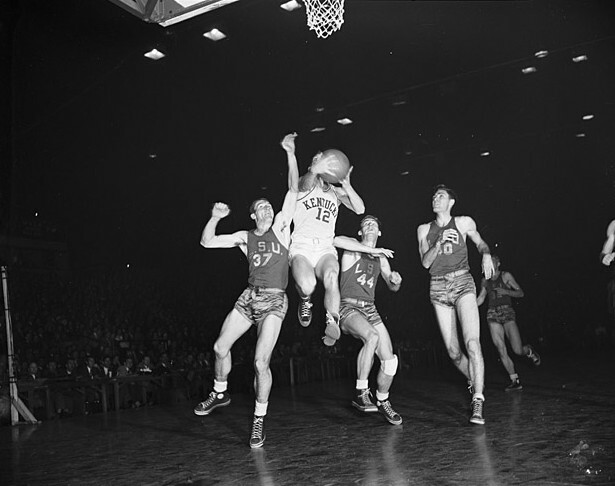 Known as the "Fabulous Five," they revolutionized college hoops with their blazing fast-break, a far cry from the ball-control style that had been in vogue. The team's leading scorer was Alex Groza, short for a center at 6-7 but possessed of a great hook shot and moves to the hoop. 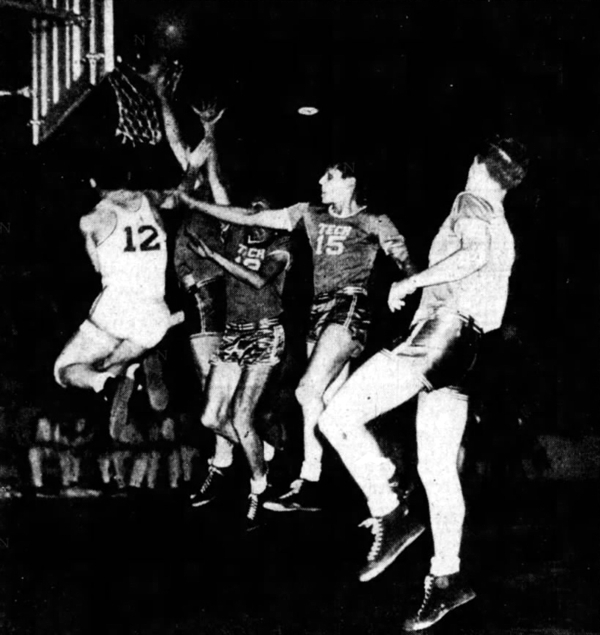 The forwards were 6-4 Wallace "Wah Wah" Jones, a fierce rebounder, and 6-3 Cliff Barker, who had learned to do tricks with the ball while being confined in a German POW camp in World War II. The other guard was 6-2 Kenny Rollins, a standout defender and complementary player. But Beard was the straw that stirred the drink. He was lightning-quick with the ball and tenacious on defense, but his signature quality was his burning desire to win. Beard liked to tell the story about the time Rupp gave him a defensive assignment for the next night's game and told him he expected Ralph to strangle the guy. That night, Beard woke up in the middle of the night, clutching his pillow and saying, "Gotcha, Burl, you SOB." That was Ralph. Basketball literally was his life. 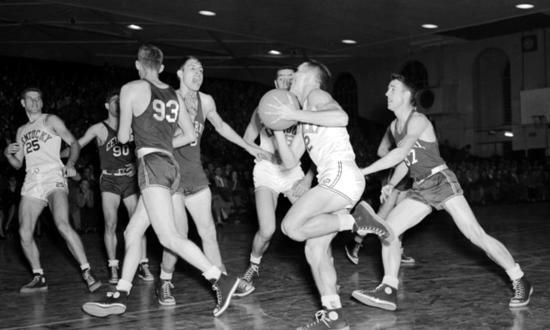 Which is why everyone was so shocked to learn that he had been involved in the sordid point-shaving scandal that rocked college basketball in 1951. 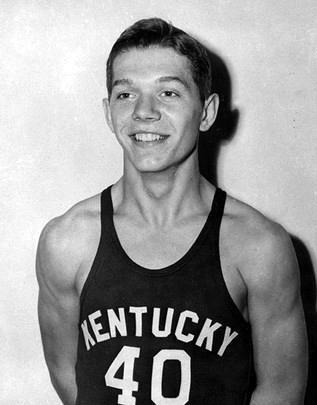 At the time the scandal broke, Beard was an all-NBA guard for the Indianapolis Olympians, a team built around UK stars from the late 1950s. He and Groza were arrested as they left Chicago Stadium. They were the biggest names in a net that caught more than 30 college players, mostly from the Midwest. Nobody claimed to be more shocked than Rupp, who had bragged, "They (the fixers) couldn't touch my boys with a 10-foot pole." He was right. They didn't need a long pole because they were right there in the UK locker room, mingling with the players after games. The middle man between the fixers and the players was Nick "The Greek" Englisis, a New York City guy who had come to UK on a football scholarship. When it turned out he wasn't good enough to play for Bear Bryant, Englisis latched on to the basketball team, serving for a time as manager. Another fixture around UK basketball was Ed Curd, who ran the biggest bookie joint in Lexington and one of the biggest in the Midwest. In fact, when the Kefauver commission investigating organized crime asked New York mob boss Frankie Costello who booked his basketball bets, Costello said, "My little buddy, Ed Curd, from Lexington, Kentucky." Beard admitted he took money. But he also insisted that he never did anything to affect the outcome of a basketball game. I believed him then and always will. He was too much of a competitor to cheat. But he also was too poor to turn down a $100 bill when it was stuck in his pocket after a game. The players' punishment was a lifetime ban from organized sports. To some, it was no big deal. To Beard, however, it was the death penalty. They might as well have put him in front of a firing squad and gotten it over with. He simply couldn't imagine life without basketball. At times, Beard admitted to me years later, he considered suicide. The humiliation and the ban were too much to bear. He had embarrassed his mother, who had cleaned houses during his youth to support Ralph and his brother. He had let down an entire state that had come to worship him and the rest of the "Fabulous Five." But then he found a woman who brought him stability and taught him there was life after basketball. He and Betty had two children. She was his biggest booster as Ralph received his college degree and began what was to be a long and successful career in the business world. Born in Hardinsburg, Ralph moved to Louisville at a young age. He had one full brother and a half-brother, Frank, who had a successful career on the PGA Tour. When Ralph would talk about how hard his mother had to work to feed and cloth him, he never failed to get teary. Beard had a stuttering problem that would become exaggerated when he got excited. He never quite got over it, but he also never let it stop him from making speeches and giving interviews. 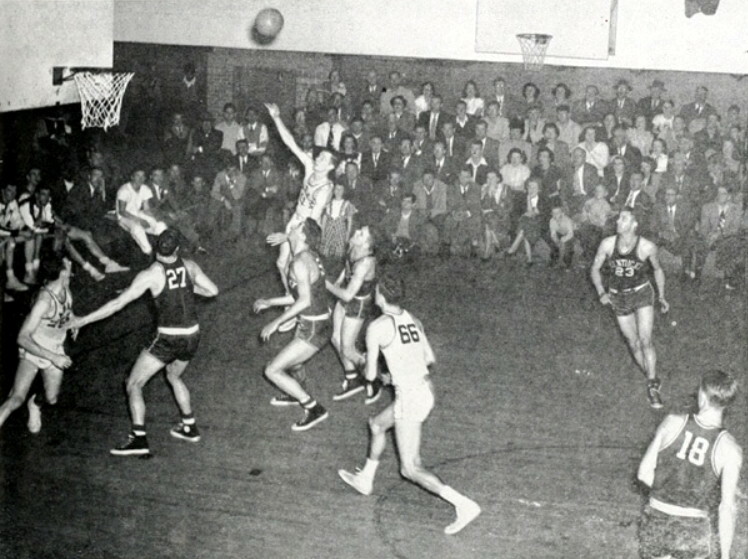 At Male High, Beard was All-State in four sports and led the Bulldogs to the state basketball championship in 1945 . He planned on playing both football and basketball at UK, but gave up football after separating both shoulders as a freshman. Initially, he didn't know how to handle Rupp's sarcasm. He became so upset, in fact, that at some point in his freshman year, he went to Rupp and told him he was thinking about transferring to Louisville. "Well, by Gawd, if you want to play at the Normal school, that's fine with me," Rupp said. "But I can tell you this -- the university will not cancel its basketball schedule because you are gone." 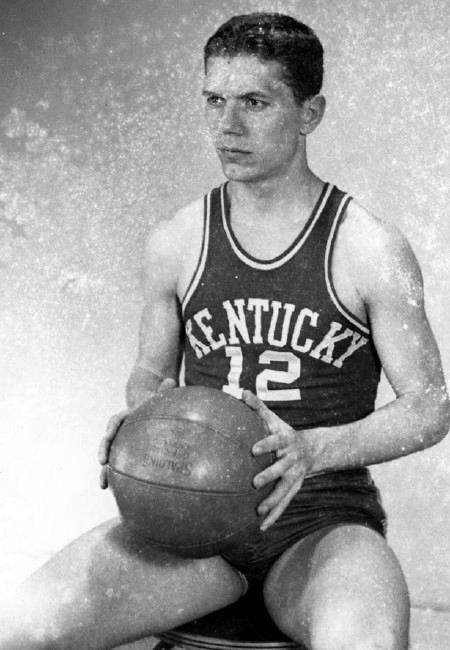 Beard never quite got over the stigma of the point-shaving scandal, but he began to receive a measure of forgiveness and redemption when the Kentucky Athletic Hall of Fame inducted him in 1985. After an emotional acceptance speech, Beard looked to the ceiling and said, "Mom, I finally made it." After that, more honors came his way. During his time as UK's athletics director in the 1990s, C.M. Newton, who had been a freshman when Beard was a senior, made it a point to honor Ralph and the "Fabulous Five" whenever he had the opportunity. He also asked Ralph to address the UK players about the evils of point-shaving, which Beard did happily and willingly. In recent years, he attended most University of Louisville games as a regular in athletic director Tom Jurich's suite. Like Knight, Jurich appreciates sports history. Plus, Jurich thought it was important to promote better relations between U of L and UK. For Ralph's part, well, the tickets were free. After years of feeling ashamed of what he had done, Beard always seemed amazed and grateful to find that he was remembered fondly by fans around the state. He liked to tell about the time that Bill Malone took him to a UK football game. After sitting down, Ralph turned to the man on his right, stuck out his hand and said, "Ralph Beard." The man looked shocked. Then he grabbed Ralph's hand and said, "Ralph Beard." It turned out that his father was such a huge fan of the "Fabulous Five" that he had named his son after the team's fierce little playmaker. 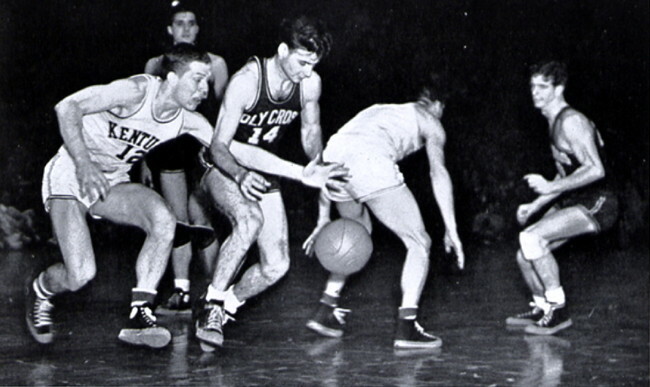 Attorney, had brokered a deal with Maurice Podoloff, commissioner of the NBA, and Francis Cardinal Spellman to save the stars from the big Catholic universities from being barred from the NBA. The Midwest players, Beard believed, were the scapegoats. For many years, Beard played golf at Louisville's Hurstbourne Country Club. However, he had to grudgingly give it up in recent years due to a series of serious illnesses. His body had finally betrayed him, and Beard hated it with a passion. Beard had a lot of scrapbooks bulging with clippings, and he was especially proud of a 1948 copy of Sports Illustrated with his photo on the cover. Fans of the magazine immediately will put up the "Inquiry" sign. The Sports Illustrated that we know and love today wasn't published until 1954. But this was a different magazine, same title, that folded after a few issues. His most valued trophy? That was easy. "It's the gold medal from the 1948 Olympics," he said. "That was really something, to be on a team recognized as the best in the world." I last saw him at the UK Sports Hall of Fame induction ceremony the night before the UK-Mississippi State football game. He and Betty got there late, and Ralph was moving slowly, with a bit of a limp. He shook a few hands and stopped for a few photos before heading for his table. "I'm hurtin', podner," he told me. "I can't do anything any more. The pain is terrible." For years, I tried to talk Ralph into doing a book with me. He wanted badly to do it, but Betty put her foot down. She saw no reason to "drag all that stuff up again," as she put it. Besides, she said, it was so long along, who cared anymore? 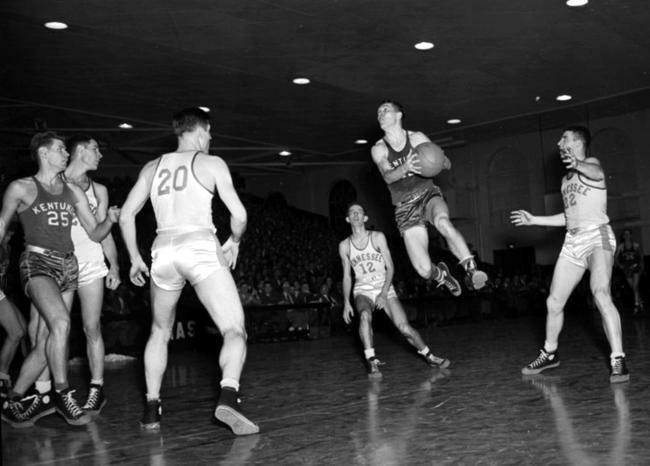 The other regret I have regarding Ralph is that I could never generate enough steam behind a movement to get him into the Basketball Hall of Fame in Springfield, Mass. Newton and Knight went to bat for Ralph, as did the great sports columnist Dave Kindred and a couple of others in the media. But somebody in the selection process always dropped the blackball on Beard. 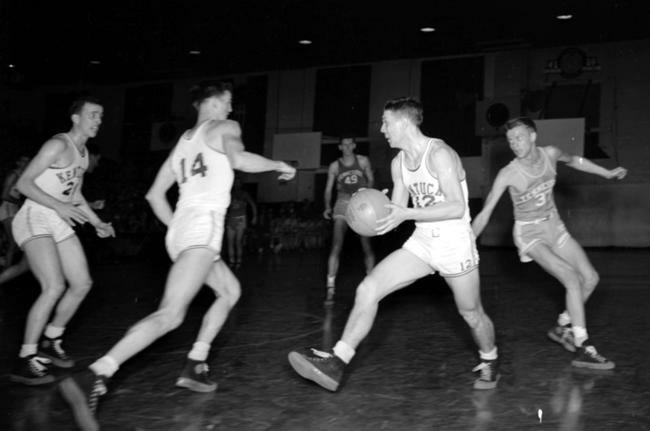 It didn't make any difference that he belonged on his merits as a player, that he had admitted his guilt and accepted his punishment, or that he had led an exemplary life after basketball. The powers-that-be at Springfield could not be swayed from the notion that he had willfully stained the game he loved. I hope Ralph rests in peace. He deserves it. He went through a sort of living hell on earth, and I'll always believe that his punishment far exceeded his crime. Had Pete Rose been as honest and contrite about his problems as Beard was with his, Rose today would be in baseball's Hall of Fame. Now the "Michael Jordan of his time" is gone. Heck, nobody ever minded picking up the check when Ralph was around. It was the least we could do for a man whom we loved and admired, whether he ever realized it or not. There is a hole in the Basketball Hall of Fame. A hole where Ralph Beard should be. 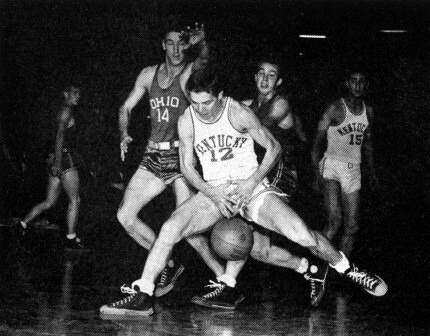 Many who saw Beard lead the Kentucky Wildcats to two national championships, earn a 1948 Olympic gold medal and start as a rookie in the first NBA All-Star Game say he was the greatest guard in the world at the time -- a world that included Bob Cousy, among others. "He has a sharp eye for the basket, but his greatest assets are his tremendous speed and limitless stamina," The Sporting News once wrote about Beard. "� He simply runs his opponents to exhaustion. Defensively, he has no equal. He hawks his man into helplessness and surrender." "He was one of the top 10 players I ever saw play the game," former teammate C.M. 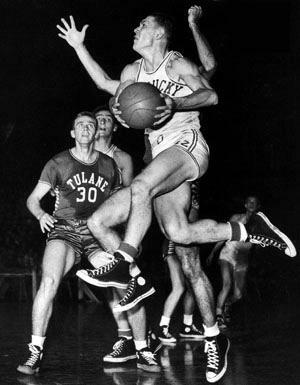 Newton, who has seen basketball on every level for five decades, told The (Louisville) Courier-Journal. But you will not find Ralph Beard memorialized in Springfield, Mass. He's not there, thanks to $700 and a moment of weakness that seemed to haunt him for the rest of his otherwise graceful and gracious life. That life ended Thursday in Louisville, when Beard's heart gave out after 79 years. He was one of the nicest men I ever met, but he worried about what the world thought of him. He always was concerned that the lasting image people had of him was his moment of scandal. In 1949, Beard and two Kentucky teammates, Alex Groza and Dale Barnstable, took money from gamblers to fix games. 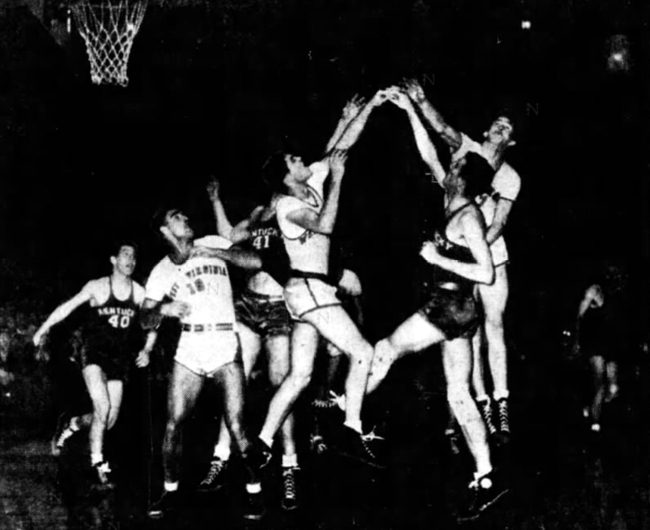 The players originally tried to win by more than the spread, but later agreed to try to hold the score under the spread in two games. One of those was an upset loss in the NIT to Loyola. Beard never denied taking the money. He always denied dumping any games. He scored 15 of Kentucky's 56 points in that infamous game against Loyola, four more than his season average. He described himself as "too proud of who I was" to tank. In today's world, Beard would have lawyered up within 15 minutes of his 1951 arrest on point-shaving charges. He would have done what Pete Rose and Barry Bonds and so many other celebrity athletes have done: lied, denied, stonewalled, searched for loopholes. He would have blamed everyone but himself and ultimately been rewarded with a second chance -- or several second chances. Ralph Beard did none of those things. He admitted guilt and accepted blame. And there was no second chance. That's at least a small tragedy. The judge in the case gave Beard a suspended sentence. The NBA was far less kind, banning Beard and Groza for life and forcing them to sell their ownership shares of the team they played for, the Indianapolis Olympians, for one-tenth their worth. After two seasons in the NBA, Beard never played organized basketball again. A former minor league baseball player, he was banned from professional baseball as well. An all-star career was cut short just after takeoff. Even worse for Beard, an all-consuming passion suddenly was bereft of an outlet. 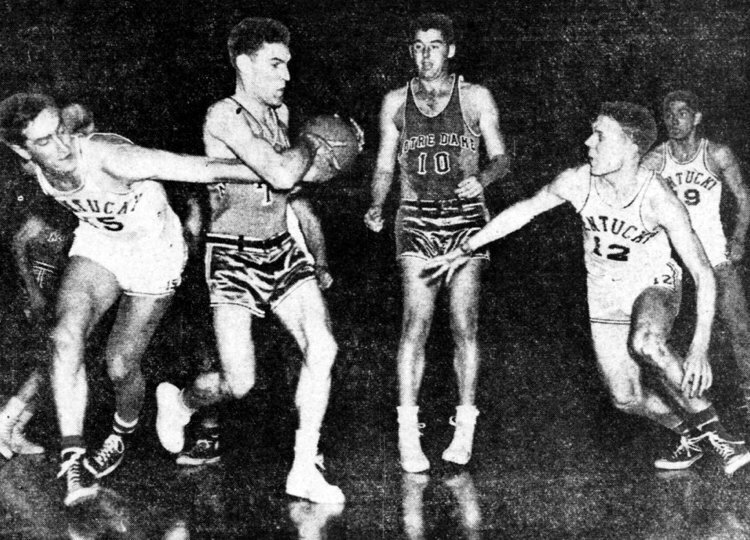 He was driven from an early age to excel at sports, and that inner fire led him from his Louisville home to Lexington to play for Adolph Rupp. After being held scoreless for the first time in his career as a freshman at Kentucky, a disconsolate Beard went sobbing into his mother's room at 5 a.m. and said, according to The Sporting News, "Mom, I wish I was dead." The question is how such a prideful competitor could accept money for doing any less than his best. Beard, who grew up poor in a single-parent household, said he was dazzled by the thought of $700 and what it could do for his mother. But when asked to throw a game, he couldn't go through with it. Still, he admitted the crime, and there are no videotapes to scrutinize for exonerating evidence. Beard became a pariah in a sport he lived to play. Beard's life turned for the worse, and he wound up getting divorced. But he pulled himself together after meeting the woman who would become his second wife, Bettye. He got a job selling pharmaceuticals, rose up through the company and raised three children. Slowly, the shame attached to his name receded. And everyone who met Beard was won over by his personality. If he had any enemies, nobody seems to know them. 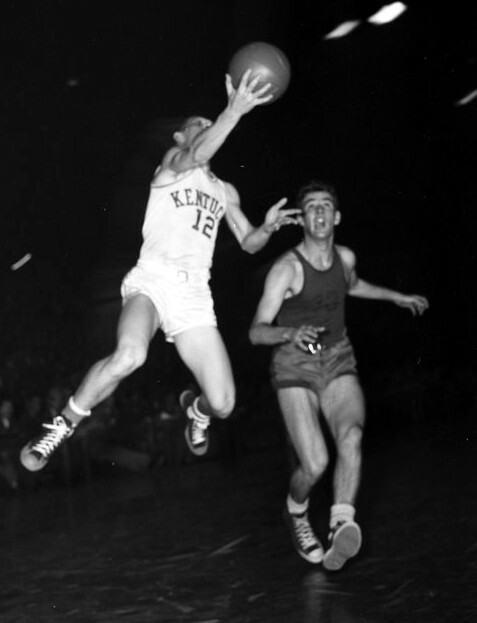 Kentucky fans warmly remembered him as the first true star in program history. Others embraced him as well -- he was so likable that even natural rivals took him in. Beard could be found at Indiana games as a guest of Bob Knight, or at Louisville football games as a guest of athletic director Tom Jurich. I first met Beard at a sweltering Louisville football practice years ago. He was trim and spry, with a firmly enthusiastic handshake. Someone introduced him as the greatest guard who ever played -- Ralph was flattered but quickly denied it. He was much more comfortable talking about the sports news of the day than about his own glory days. 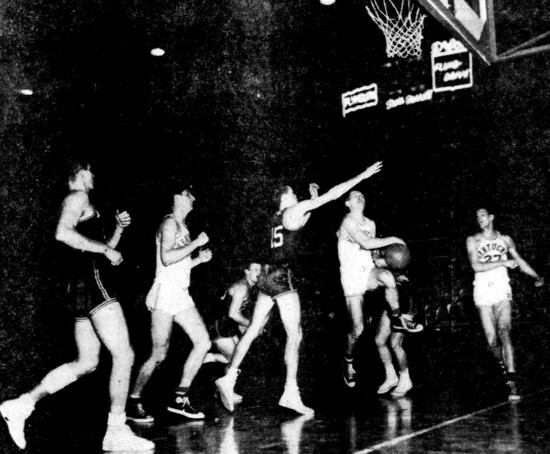 It took some work to get him to reminisce about making the winning free throws in the 1946 NIT as a freshman, or winning an Olympic gold medal. Mostly, Ralph just wanted friendly conversation, not slaps on the back. "If you knew Ralph Beard, you didn't want to shake his hand," Courier-Journal columnist Rick Bozich wrote Friday, "you wanted to hug him." When I worked at that newspaper, Bozich and I selected the all-time basketball team for the state of Kentucky in 1999. 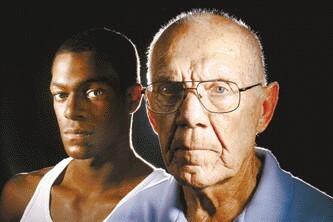 We chose Louisville's Darrell Griffith and Beard for the cover photograph for the special section. You would have thought we'd named Beard mayor. He was so happy and so humbled. And, it was obvious, so relieved. Someone remembered him for more than the mistake a poor teenager made nearly 60 years ago. Someone remembered him as the brilliant basketball player he was. Maybe one day the Hall of Fame can make that remembrance, as well. It's just too bad Ralph Beard wouldn't be alive to see it. Yes, Ralph Beard took the $700. Let's make that perfectly clear. 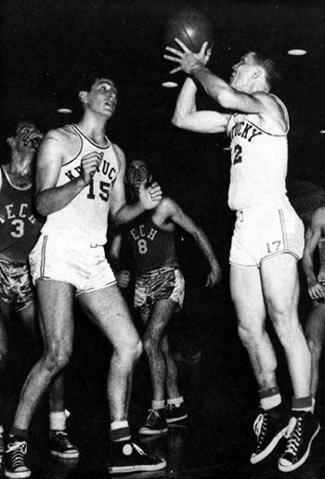 Beard took $700 from gamblers when he was a basketball player at the University of Kentucky more than 50 years ago. Beard called it what it was - a mistake. HIS mistake. He took the $700 even though he never intentionally missed a shot, never dogged it on defense, never did a thing to influence the final score. Beard said he took the money and gave it to his mother because he grew up poor and $700 seemed like $700,000. I believe those four paragraphs are true. 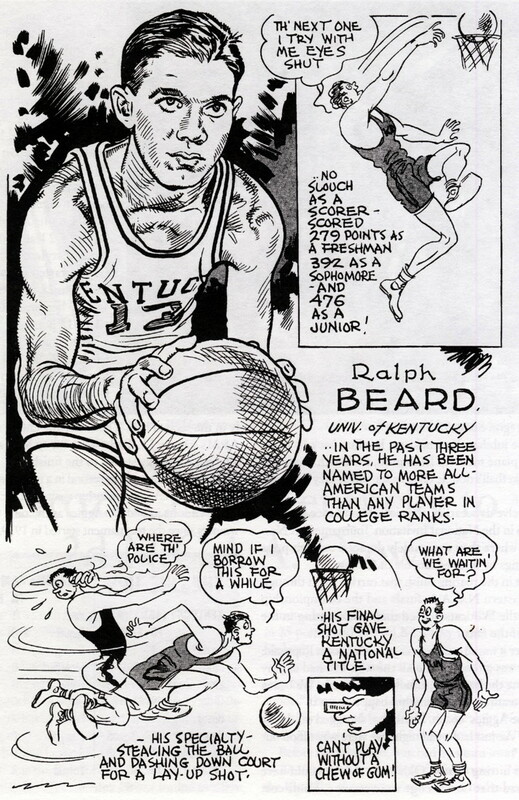 But I also believe there's no way they should define Ralph Beard. Not during a life lived as well and as gracefully as Beard lived his. And not today, the day after Beard, 79, died. If you knew Ralph Beard, you didn't want to shake his hand, you wanted to hug him. Five minutes after you met him, he was calling you, "Pahds," as in partner. You wanted to make certain that Beard understood that you knew the story of his life was more than the story of one mistake. Beard erred in times that were not as forgiving as the times that athletes and celebrities err in today. Some guys get a dozen chances. Probably more. Basketball refused to give Beard two. That was tragic. I often sensed that it stirred sadness inside Beard, a guy with tremendous competitive spirit. He managed his pain from being banned from basketball in a point-shaving scandal better than I could have done it, but he could never make it disappear. Nobody could. Not when you were one of the best basketball players of your generation and you were willing to admit your mistake. Ralph Beard wanted you to know that his story was a story of perseverance. And it was. But it should have been a story of perseverance and redemption. After a few years on the sidelines, Beard should have been allowed to play his way where he belonged -- into the national Basketball Hall of Fame. That's the kind of player Beard was, a guy the Southeastern Conference recognized as one of the legends of the game, a member of both the UK and Kentucky halls of fame. 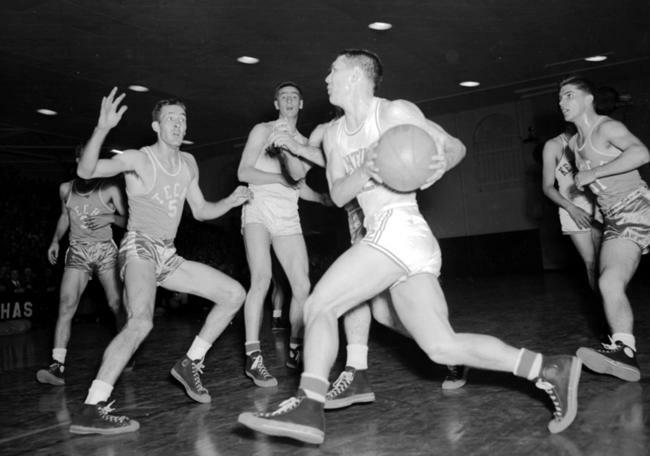 Guys who know more about basketball than me will tell you that Beard was better than Bob Cousy, that he was the Steve Nash of his time. Ralph Beard played the game with fearless creativity, flashing down the court with an effortless flow. He played like a guy who escaped from a different generation, attacked with a different plan. 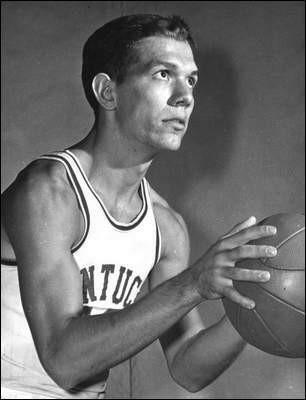 Dan Issel scored more points than anybody who played at the University of Kentucky, but Issel said if you're making a list of the greatest players to perform for the Wildcats you'd better include Beard. "He's certainly the best guard," Issel said. Without basketball, all Beard could do was live a solid and productive life with his loving wife, Bettye, and their three children, build a successful career in pharmaceuticals and make more friends than you could stuff into Rupp Arena. If somebody was dribbling a ball or passing a football or hitting a baseball, Beard was there. 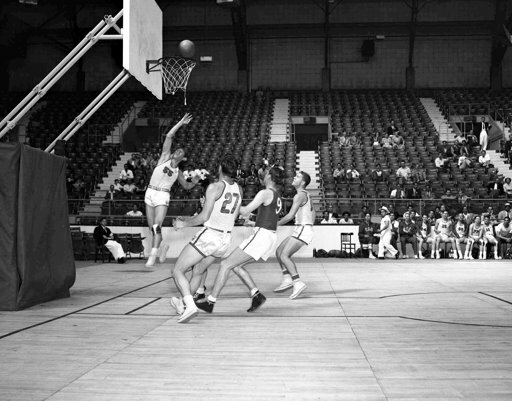 Didn't matter if it was at Kentucky (where former athletic director C.M. Newton made certain Beard was appreciated), Indiana (where Beard was embraced by Bob Knight) or Louisville (where he was always welcomed by athletic director Tom Jurich). Beard kept pounding the golf ball long and straight until his body told him to stop. Don't forget the high schools. 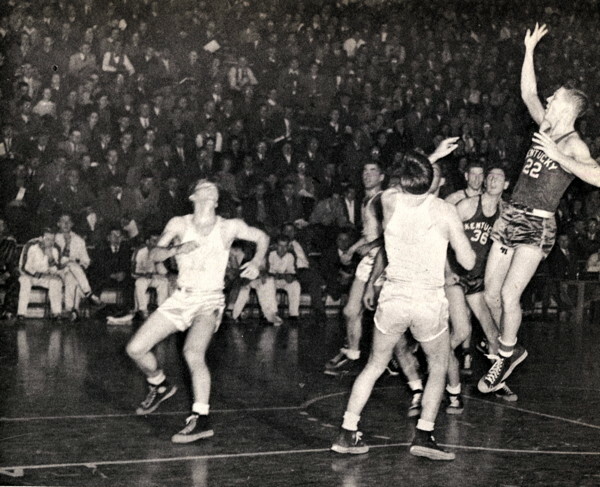 Nobody was a bigger fan of the King of the Bluegrass tournament at Fairdale High School than Beard. He was a regular -- at courtside and in the hospitality room. If you wanted an autograph, all you had to do was ask. But Beard wouldn't talk about the two NCAA titles that he won or his Olympic gold medal, unless you asked. He was as a humble as a guy who picked up towels. In 1999, former Courier-Journal columnist Pat Forde and I gathered information for a special basketball section about the greatest players and teams that have performed in this state. We decided we wanted Beard and Darrell Griffith, a pair of Male High graduates, to pose for the cover -- Beard representing Kentucky, Griffith the University of Louisville. "You want ME?" Beard asked, when I told him what we had planned. "Are you sure about that?" Beard showed up 30 minutes early for the photo, posed politely for every shot and then went outside to pump more money in the parking meter so he could hang around to talk basketball for another hour. "Thanks for including me, pahds," Beard said. That, pahds, is the Ralph Beard I'll always remember.